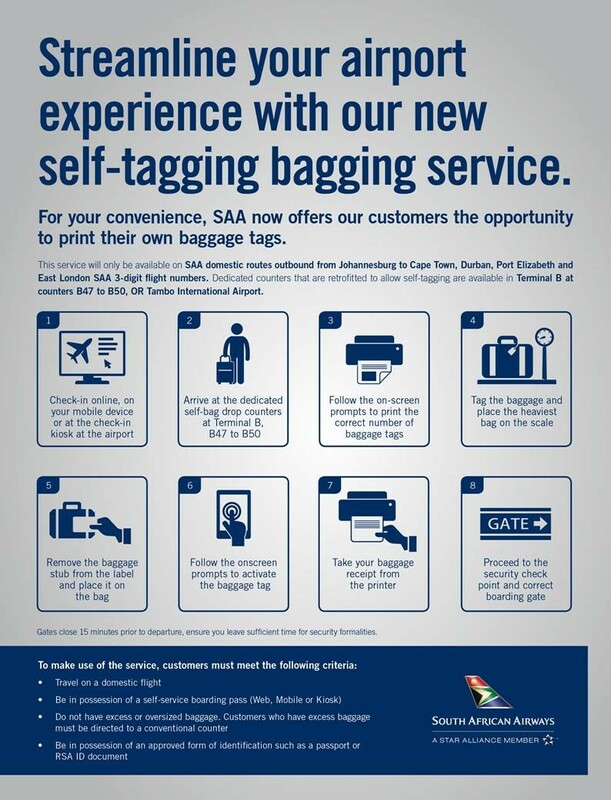 South African Airways has commenced with a self-service trial where passengers travelling on domestic flights from OR Tambo International Airport are now able to tag their own luggage at the Self-Service Bag counters. Passengers departing on the SAA 3 digit flight numbers from OR Tambo International Airport must be in possession of a boarding pass (web , mobile or kiosk check-in) and a valid form of identification to enable them to make use of this facility. The Self-Service Bag Counters are situated in the departure terminal (B) at counters 47, 48, 49, and 50 and are easily identifiable. 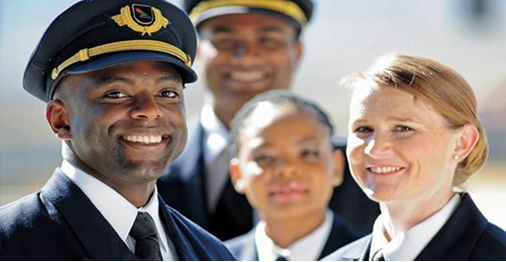 SAA staff will be on hand to assist passengers.